In his first year as general manager for the Reds, Walt Jocketty traded Adam Dunn to the Arizona Diamondbacks. Remember the Dallas Buck Era? Dunn had become a fixture in Great American Ball Park’s left field. And while the word fixture might conjure up Dunn’s aptitude playing defense in left field, one thing is for sure – for the seven seasons spanning 2001-2008 Adam Dunn produced runs. Over that stretch, Dunn produced runs at a rate 30 percent above league average.Ã‚Â No other Reds player came close then (Griffey Jr. next at 17 percent). To offer context for what it means to produce runs 30 percent above league average, here are a few players who over their careers did just that: Roberto Clemente, Dave Winfield, Carl Yastrzemski and Jose Canseco. 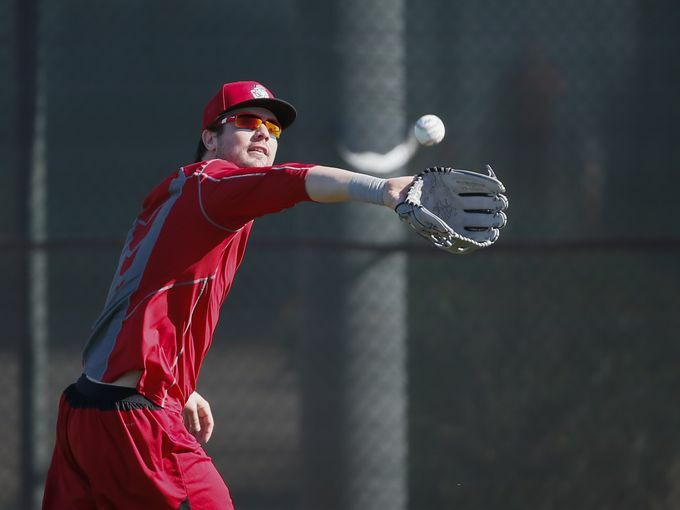 Since Dunn’s departure, the Reds farm system hasnÃ¢â‚¬â„¢t produced a single full-time left fielder. Chris Heisey and Chris Dickerson were the closest. Instead, the Reds year after year have relied on a series of bargain-basement free agents: Jerry Hairston Jr., Laynce Nix, Jonny Gomes, Ryan Ludwick and Marlon Byrd. Those are just the starters. Remember Fred Lewis, Xavier Paul and Skip Schumaker? LetÃ¢â‚¬â„¢s compare the seven-year periods for offensive production. Yikes. Adam Dunn averaged 38 homers a year for the Reds. Reds left fielders have hit fewer than 21 per season since. In fact, in 2013 and 2014, years begun with post-season aspirations, Reds left fielders combined for a two-year total of 24 homers. Adam Dunn mashed. His replacements were well below league average. On defense, Dunn was no Baryshnikov. But the likes of Gomes and Byrd were hardly Gold Glove candidates. From 09-15, Reds left fielders produced -69.6 runs. That dash in front of the 6 isn’t a stray mark, it’s a negative sign. Whatever one thinks about Adam Dunn’s time in Cincinnati, itÃ¢â‚¬â„¢s reasonably clear that left field has been a disaster for the Reds the past seven seasons, with Ryan Ludwick in 2012 the exception to the rule. Filling that roster spot has been an ongoing major failure. But in the spirit of spring training, let’s look forward, not back.Ã‚Â What relief is in sight as we charge into the rebuild-reboot-recycle of 2016? The good news is that the Reds have a Top-50 prospect lined up as the teamÃ¢â‚¬â„¢s left fielder of the future. The Reds selected Jesse Winker (22) in the first round of the 2012 draft. Last season, Winker hit .282/.390/.433 at AA-Pensacola, with 13 home runs in 123 games. Also encouraging, besides that the guy can hit, are WinkerÃ¢â‚¬â„¢s plate discipline numbers. His walk rate (14.2%) and strikeout rate (16.9%) are superior to Joey VottoÃ¢â‚¬â„¢s minor league stats. While Winker hasnÃ¢â‚¬â„¢t demonstrated good power yet, he has the kind of swing and approach that projects more when he matures. Given the similarities in their games, Winker could learn an enormous amount watching Votto play every day. But when will Jesse Winker put an end to the Reds left field miasma? Does he have a shot to make the roster out of spring training this year? The front office party line is the Reds want Winker to spend the next year playing at AAA, although Bryan Price recently said, Ã¢â‚¬Å“never say neverÃ¢â‚¬Â about the situation. As exciting as it would be to see Winker playing left field in GABP this April, it makes little sense for the organization to do that. Votto played a full season in AAA before a September call-up. Jay Bruce had more than 400 plate appearances in AAA, Devin Mesoraco more than 500. Jesse Winker has zero. LetÃ¢â‚¬â„¢s say in normal circumstances that service time and arbitration clock concerns wouldnÃ¢â‚¬â„¢t trump win-loss considerations for the big league team. But if 2016 really is a season in search of another high draft pick, then leave Winker in AAA to improve, even if he already is the best left fielder in the Reds system. With Jesse Winker on the Louisville Bats roster, that means Adam Duvall, Scott Schebler, Yorman Rodriguez, Jake Cave and Tyler Holt will compete for major league playing time in left field. Price says that the first three on that list have the inside track going into spring training. Adam Duvall (27), a native of Louisville, was acquired in the trade that sent Mike Leake to the San Francisco Giants. At his age, Duvall is past the point of being considered a prospect, but he has fewer than 150 major league plate appearances. Duvall started 18 games for the Giants in 2014 at 1B and 17 games for the Reds last year, almost exclusively in left field. Expect Duvall to hit for low average but big power. He will strike out a lot and walk rarely. Duvall hit 5 homers for the Reds in 72 plate appearances for the Reds. He also struck out 26 times. DuvallÃ¢â‚¬â„¢s career minor league SLG (.503) and ISO (.235) are excellent. Duvall hit 30 home runs at AAA last year and 27 in 91 games the year before. Duvall bats right-handed and has had a fairly large platoon split in the minor leagues. Duvall has little experience playing left field. His main position in the minor leagues was 3B, but at that he was awful. On the positive side, it’s said he made no errors in the 24 chances he had in left field last year. But other measurements, like range, pursuit course and arm strength are more meaningful defensive metrics. ThereÃ¢â‚¬â„¢s a good chance DuvallÃ¢â‚¬â„¢s defensive liabilities and poor plate discipline will offset most of the value of his power. Scott Schebler (25) came to the Reds from the Dodgers in the Todd Frazier deal. Los Angeles selected him in the 26th round of the 2010 draft out of the Des Moines Area Community College. Schebler played in 19 games as a September call-up last year for Los Angeles, splitting his time in left and right field. Schebler has demonstrated power, hitting 55 home runs between 2013 and 2014 with a .568 SLG. His batting slumped, however, to .241/.322/.410 in AAA last season. Schebler was a high school track star. In four of his years in the minors, he had double-digit steals. Schebler projects as having good power and below average plate discipline, with a concerning strikeout rate. He played right and left field in the Dodger organization, but his arm is considered better suited for left. His speed and route running are positive attributes. Schebler, a left-handed hitter (throws right), exhibited a substantial platoon split in AAA last year. Yorman Rodriguez (23) was signed by the Reds at the age of 16 out of Venezuela. He played last year at AAA-Louisville, mostly in center and right field. Rodriguez started one game for the Bats in left. He hit .269/.308/.429 in 326 plate appearances. Rodriguez is another option with poor plate discipline (5.2% walk rate and 24.5% strikeout rate). Rodriguez had 29 plate appearances for the Reds in 2014, but didnÃ¢â‚¬â„¢t get a chance to play at the major league level last year because of an injury that ended his season. He did play winter ball in good health in Venezuela. He is out of options, which means Rodriguez would have to pass through waivers unclaimed if the Reds want to send him to AAA to start the season. The Yankees drafted Jake Cave (23) out of high school in 2011. The Reds acquired him in the Rule 5 draft this winter. If Cave doesnÃ¢â‚¬â„¢t make the 25-man roster out of spring training, he goes back to the Yankees with a $25,000 check. You have to assume the Reds did an extensive evaluation of him before they selected him and feel he has a decent chance of earning his way to Cincinnati in April. Cave played mostly at the AA level in the Yankee system last year, so a jump to the major leagues would be pretty ambitious in most circumstances. In 593 plate appearances, he hit .269/.330/.345 with 17 stolen bases. His walk rate throughout his minor league career has been decent, at 7.7%, his strikeout rate is 19.5.%. Cave has little power. He hits left-handed so maybe the Reds planned on using him off the bench prior to acquiring Schebler. Tyler Holt (27 on Opening Day) began the 2015 season on ClevelandÃ¢â‚¬â„¢s AAA team, then was promoted to the major league club where he got 21 plate appearances over 9 games, playing all three outfield positions. The Reds picked him up off of waivers on September 27 and started him a couple times before the season ended. Holt bats right handed and played CF for the Reds. HoltÃ¢â‚¬â„¢s best attribute is his speed, averaging more than 30 SB/year in the minor league. He has no power at all, with six home runs in six minor league seasons. Holt hit .274/.367/.351 over 2683 minor league plate appearances. Holt has shown impressive skill working the count and getting on base, with a walk rate above 12% and a strikeout rate just 16.5%. He is regarded as a plus centerfielder Ã¢â‚¬â€œ good jumps and range, with a strong and accurate arm. Holt could provide value as a bench player, with versatility to play all three OF positions as a defensive substitute. As a pinch hitter, he would excel at getting on base and could pinch run and steal a base if necessary. In his limited time playing for the Reds last fall, Holt stole a base and walked twice. In sum, the first five aren’t terribly inspiring.Ã‚Â Unless someone emerges … out of left field … none of them will make us forget Adam Dunn, Jesse Winker or even Chris Heisey. 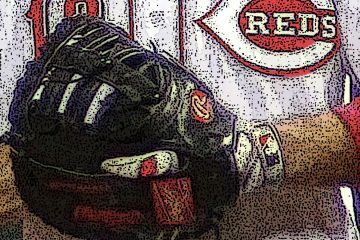 Assuming Winker starts in Louisville, Jay Bruce doesn’t get traded and everyone remains in good health, other than interloping by Devin Mesoraco, Eugenio Suarez and Ivan DeJesus Jr. playing out of position, hereÃ¢â‚¬â„¢s the most likely scenario concerning left field and the rest of the outfield: (1) Duvall and Schebler start as a platoon pair in left; (2) Holt and Rodriguez are the backup outfielders; and (3) Cave will be sent back to the Yankees. Steve, what about Waldrop? Is he not considered a prospect anymore or is he only considered an RFer? Thanks! But Marty said Dunn was good for nothing. I’d like to see Schebler get some regular playing time, I think he would win fans over with his hustle and his power should play well at GABP. I’ve been one of the people banging the drum on starting Winker in the minors and keeping him there until part way through next season; however, the Reds could look to take a page out of the Rays and Astros book and offer him an 8 year, 40 million dollar contract with a team option for 15 million dollars for year 9. That works out to roughly 10 million per year after pre-arbitration. That’s a lot for an unproven player, but it gives cost control to the Reds and security for Winker. I agree with your summary of what will likely shake out. Although, I think the Reds will keep Cave and send Holt to AAA, that way they can keep both. My understanding is that Holt, Duvall, and Schebler all have at least one option. Rodriguez and Cave can both play CF, and if Peraza makes the team, he may also get a start a week in CF. Although, if Peraza makes the team as a Zobrist-esque super sub, then that likely means on of Schebler/Duvall is in Louisville as the bench would look like: Rodriguez, Barnhart, Peraza, DeJesus, and Cave/Holt. 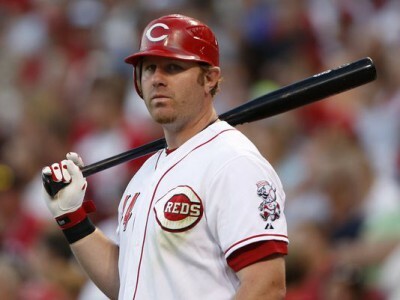 I like Adam Dunn…saw him in Cincinnati and in DC. It was always exciting to see him come to the plate (and often disappointing). 30% above average production never seemed to result in taking a team into the post-season. I guess even advanced stats don’t tell the whole story. Wonder how his numbers compare to Dave Kingman’s? I was also ambivalent about Dunn. Fun to see the 450′ bombs, not so fun to see the 200 strikeouts or his attempts to play defense. In fairness, though, Willie Mays could not have single-handedly taken those Reds teams to the postseason. I doubt that Dunn could take this Reds team there, either, but he would likely be an improvement over whoever they have in left this year, offensively, at least. The problem with the Reds during the time Dunn was there was that no matter how many runs the offense would put on the board, the Reds pitching more often than not allowed (at least) one more. Then it ended up with Marty and others blaming Dunn for not getting that one or two more runs, ironically because he was so productive they had the expectation he should have gotten them more than he did. My memory only recollection is that Danny Graves and later Stormy Weathers were serviceable on the back end of the pen during that era but the starters were short by at least an inning and gave up too many runs even then and that the first guys out of pen were even more brutal. It didn’t matter how they juggled things, as a staff they were typically short an inning per game of good enough pitching to be a winning team. Yeah–that pitching staff had few major league pitchers, particularly among the starters. The position players didn’t amount to much, either, as I recall, though that didn’t stop me from going slightly nuts and getting temporarily depressed when they–predictably–lost. I remember seeing them play the Sawx at Fenway: They lost that one, too. though my youngest daughter (8 or 9 years old at the time) got Aaron Harang (their only good starter) to autograph a ball. He made a point of seeing to it that she got it–rolled it along the dugout roof and told the fans between us and him to pass it to her. We had standing room tickets, and by the 2nd inning were two rows back in the upper deck. The Sox fans in front of us became aware that my daughter couldn’t see, and made room at the rail for her. They could afford to be magnanimous, but it was still nice. Harang was are only good starter and Baker ruined him by putting him back out there after a long rain delay. He was never the same after that. This is more of how I remember it. Dunn, Griffrey, whoever was at the plate couldn’t get that late inning go ahead Home Run to make the game 7-5 and winning instead of striking out and losing 4-5. Without checking to confirm, my recall it is that often it was more like the needed late offensive heroics would have turned a 7-6 loss into an 8-7 win. Thus, my thought was that with competent pitching from the Reds, they shouldn’t have needed those late inning offensive heroics regularly off of the cream of the crop relief corps, 8th inning set up guys and closers because the Reds often had what could/ should have been winning leads into the 6th or 7th inning. The lesson of the Adam Dunn era was that you can’t mash your way to success. Dunn was on several high scoring teams that lost due to bad (especially starting) pitching. Under more recent GMs, especially Jocketty, the philosophy has shifted towards pitching and defense, which led to several years of contention. And pitching and defense quietly remains the path back to contention. Either a problem with advanced stats or the rest of the team wasn’t good enough. Just look at 2013-2014. The pitching was there, but acceptable offense wasn’t. Schebler, as the lefthanded part of a platoon, will probably get lots of playing time, and lots of opportunities. If I were Duvall or Yorman I’d be pretty worried about how often I’d find my way into the lineup. One interesting, but unmentioned, thing to consider is that Jesse Winker has played a lot of RF over the past year. Obviously that’s currently Jay Bruce’s spot, and Winker projects best in LF… but it might not be as simple as Winker playing exclusively LF when he’s inevitably called up. If a Schebler/Duvall platoon works (at all) in LF, disrupting it after a Bruce trade might not be a good idea, if Winker looks like a better candidate for RF. Yorman is about the OF candidate (other than Bruce) who has an arm that screams RF. Seems to me that the Reds have to hold on to YRod because they have nobody else to play RF if Bruce would be injured or traded. In fact if YRod doesn’t work out, who is the “RF of the future”, the future being within the 2-4 years during which time they hope to be competitive again? One of the rationalizations of keeping Hamilton around is that because of his range, he would allow them to play less than stellar defenders in LF. In Duvall’s brief appearance last season in LF, he looked capable of being a competent “line guard” LF. Schebler seems to be at least an average defender. Thus I think a Schebler/ Duvall pairing in LF could work out at the start of the season. The issue, as I alluded to above is that neither of that pair nor Winker project as RF; so what’s the future hold beyond this year aside from Winker in LF and YRod in RF? Winker could play there, and did for close to 40 games last season, but he’s not ideal. Ervin is probably the most suited, after YRod, to take over RF. Even though the slash line wasn’t much to be excited about in AA, his plate discipline and power showed up last season. If he can get that BABIP to come up he’s as good a bet as anyone in the system. Waldrop and Elizalde project more like 4/5th OF’ers but also can play RF if they can hit enough to stick. You pair Schebler/Duvall to see what you have. Playing is the only way and this year is that time. Duvall actually had a reverse platoon splits for both 2015 & 2014 with lower BA, OBP & SLG against LHP for both seasons. With his defensive limitations, he doesn’t look like a good platoon candidate for LF, but he might make the 25-man roster as a utility IF/RH pinch hitter. If the Reds are going to platoon LF in 2016, Y-Rod looks like a better candidate with his age and defensive capabilities, even without a strong platoon split. That would leave Holt or Cave as the 5th OF, capable of playing all 3 OF positions. I can’t envision the Reds management ever sending Hamilton down to AAA, but that would be my personal preference with Holt and Cave platooning in CF. If the Reds’ chances of competing in 2016 were so abyssmal that no effort was even considered to obtain a LF, then they may as well go 100% in player evaluation for the 5 OF candidates on the 40-man roster and let Hamilton get his plate approach ironed out in AAA, if possible. Cossack, I see little bias either way in Duvall’s AAA career splits versus LHP/RHP; but his OPS trends to favor traditional platoon splits. The data from the link above says that in 2014 at AAA Duvall had slightly a lower BA and OBP versus LH pitchers but much more than covered the difference by slugging 90 points better versus LH pitching. In the end, his OPS versus LHP actually was slightly higher at 1.030 to .945 versus RHP. Apparently he hits for more power versus LHP and also walks at a consistently higher rate versus LHP; but strikes out at the about the same rate both ways. Interestingly enough… Steamer projects Dunn to hit .205/.306/.375 this year after a year off baseball. That’s sort of fun. It will be Schebler. With his power, he’ll win the job with any decent Spring camp showing. He’ll either have the position or be part of a platoon. It will then be Schebler’s position to keep or to lose. If he slips up and Winker does well in AAA, then Winker will get a try later in the season. The Reds have been trying to revamp the OF for several seasons but have been stymied by some of the draft choices not developing very fast. Yorman has taken a bit longer than expected. I am sure that when Ervin was drafted they felt he would come along pretty quickly. Injuries have hindered him but he would be more than capable of having a big year and getting to the majors. I believe that was the belief when the picked the guy who was rated the best hitter in college the year he came out. He also can play all OF positions.Yorman is a capable RF and CF so I would think that he would be able to play LF. They will have to do something about Peraza and CF may not be the worst place for him. he can run, steal a base, and hit for a decent average. This is leaving a few guys out like Waldrop, so I think it is wrong to say that the Reds have not tried. No one has a sure thing crystal ball-Mike Trout was not the first player taken when he came out. They have five guys vying for 3 spots, LF and two OF bench spots. Duvall will probably make it as one because he’ll also be looked at as a backup 3B/1B/ and a PH. But with that, it will allow for an extra OF. I like Holt better than Cave. Hopefully all will play well in the spring and might allow for a trade of one to a team needing an extra OF at the end of spring training. Injuries do occur. A question this spring I would love to see happen is, what happens when Peraza hits .350 in spring training and BP hits about .250 and both playing stellar defense??? Would they dare try to move BP into the LF mix? BP would stay home before trotting into LF, I think. For better or worse, I see no scenarios (outside injury) that end with BP being anything but the starting 2Bman for this team, and likely batting 1, 2, 3, or 4. I tend to agree with that assessment. Although, without looking it up, I seem to recall that at least early in the season last year, he was hitting 6th or 7th. There is a fascinating article over at MLBtraderumors about predicting Tommy John injuries on pitchers. There were 112 Tommy John (UCL) surgeries to players in the 2015 season alone. Not all were to pitchers, but the vast majority were. This article and research is from the perspective of the GM. Pair this article up with Steve’s article last year on TJ injuries and surgeries. Very good information. That was a good piece and the piece Steve did was good too. Would be neat to see them together. Twitter is aglow with reports that the BlueJays may be making a run at Jay Bruce. Our efforts here could soon be OBE? Angels would presumably supply return for Bruce but no details forthcoming. Jocketty says “He (Bruce) has not been traded” per (@johnfayman). I must be missing something. why is Steve Selsky (.375 obp at AAA) not regarded as a candidate for an extra outfielder? No power (4 homers over his last 600+ PA), not much speed, and a very, very unsustainable BABIP over the last season and a half which is propping up his numbers. No idea how good his defense is. He’s also 26, so his prospect sheen has already worn off. Maybe some combination of those factors. Just based on his walk rate alone, I’d figure he’d warrant a look… but maybe the Reds have their reasons. The Reds keep Cave. They are not returning him to the Yankees. The season is about the long term. Keeping and developing talent. HRod, too. That leaves Holt as the odd man out, until injury opens up a slot. He starts in Louisville. What about sorting out the right field situation??!! That is just as much if not more than a need than left.